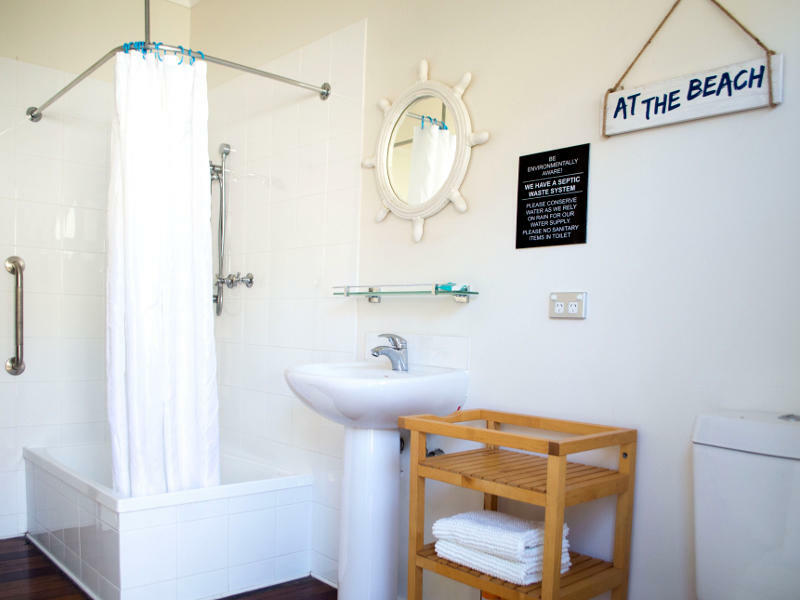 The Starfish Cottage is split level. 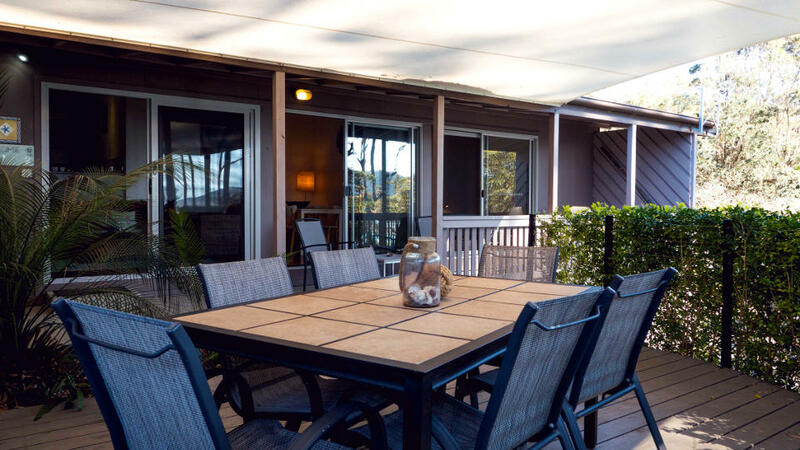 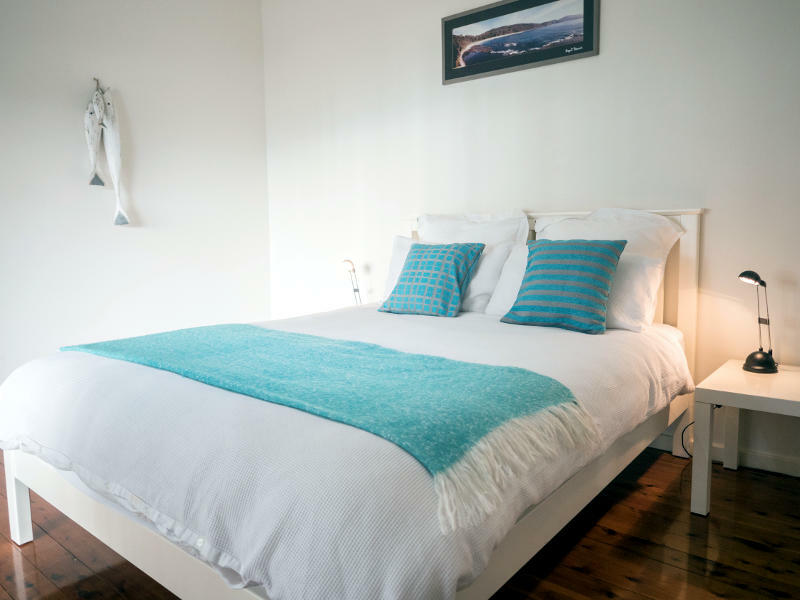 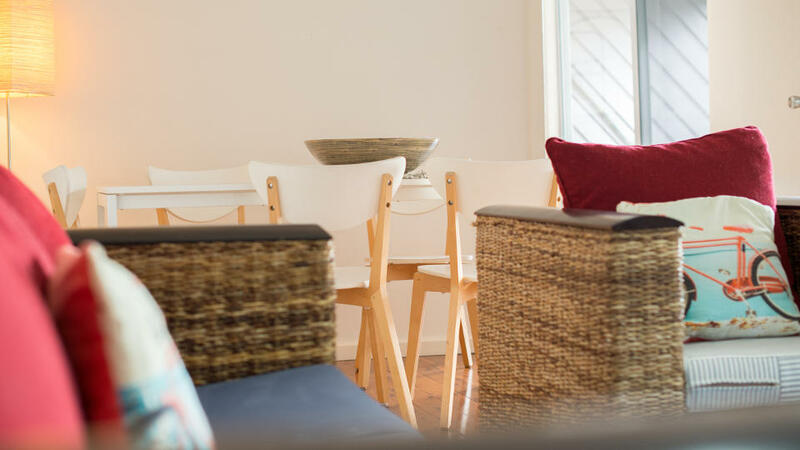 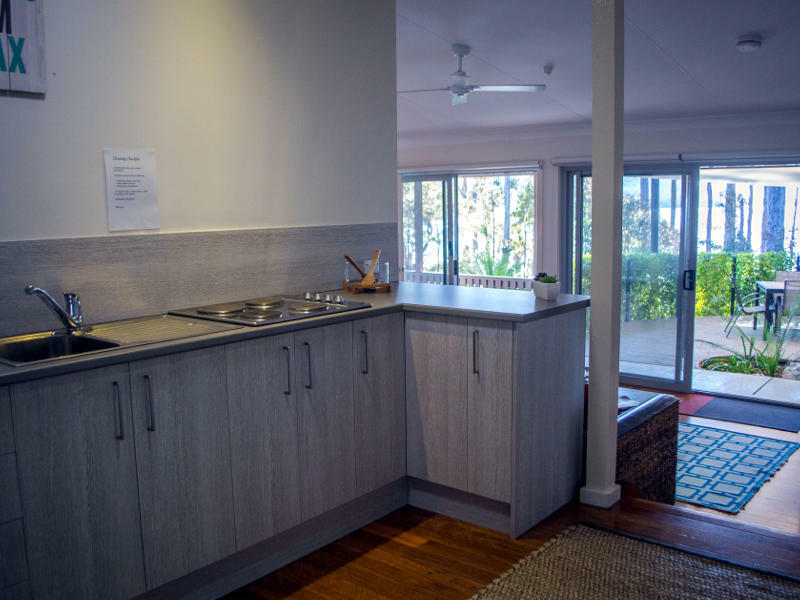 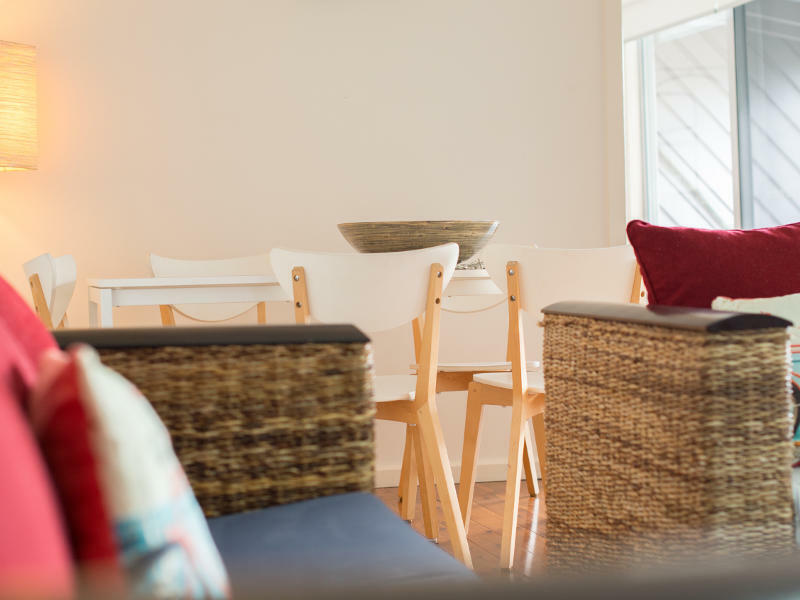 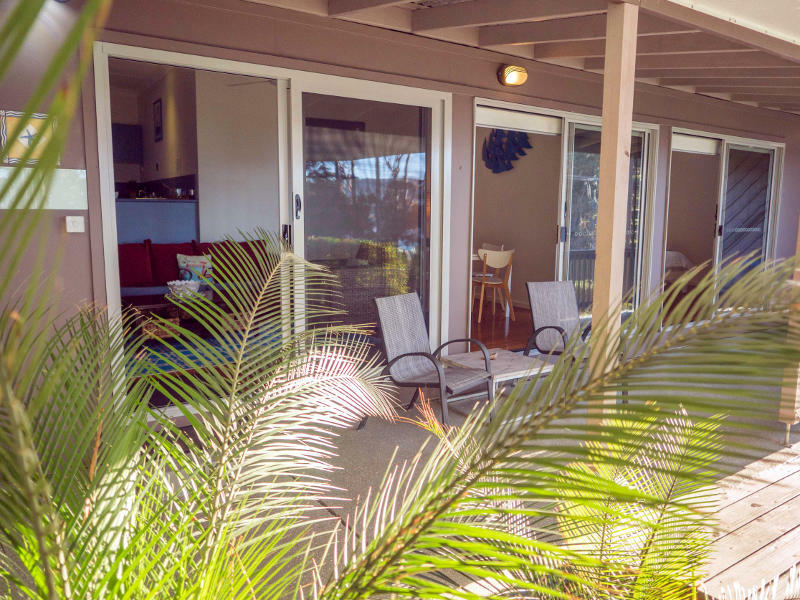 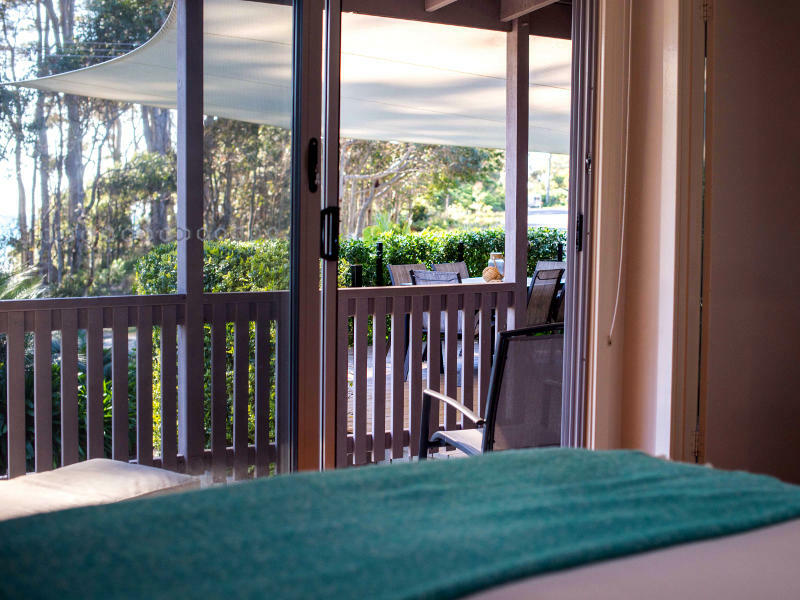 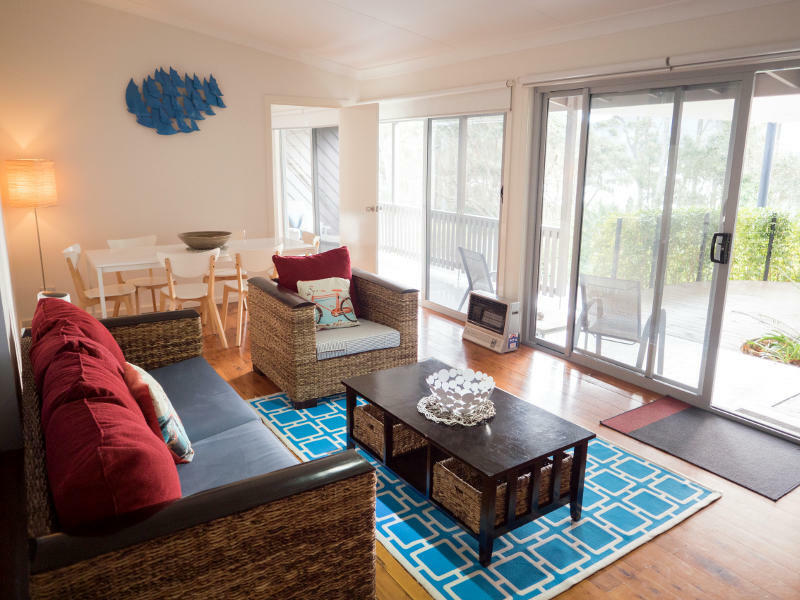 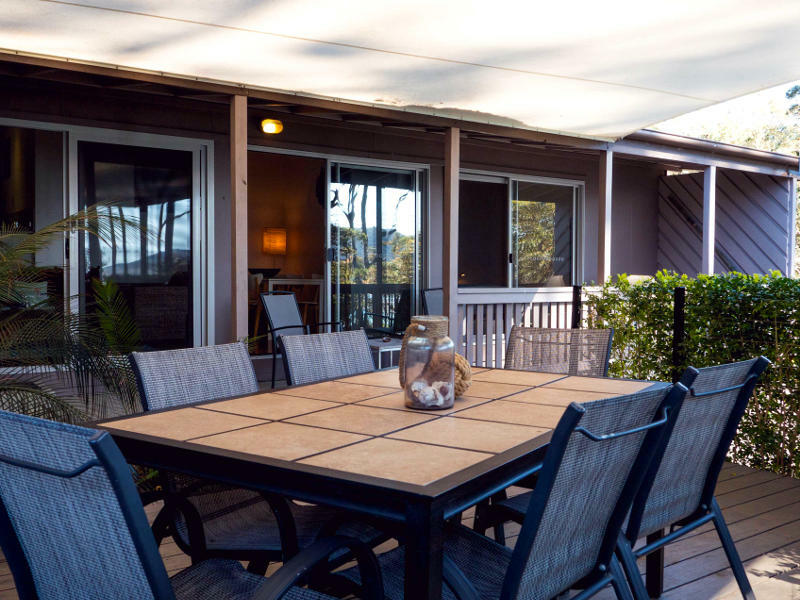 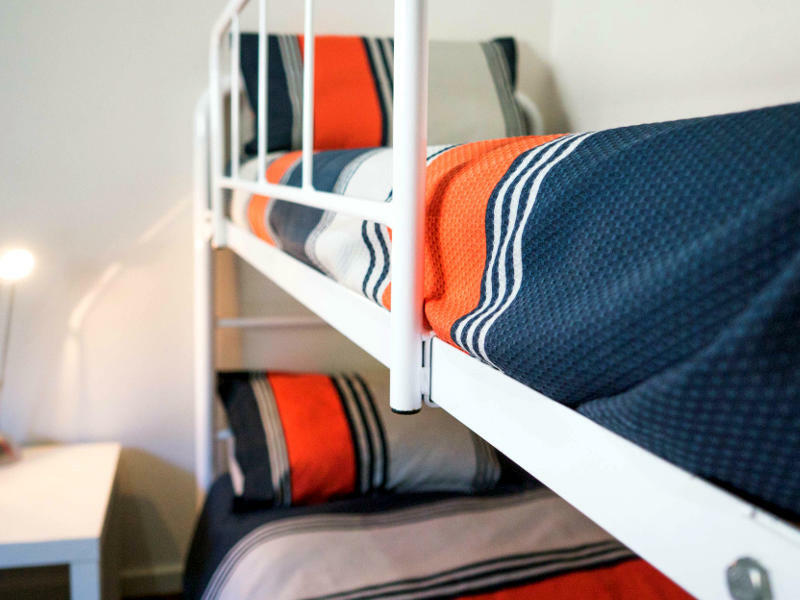 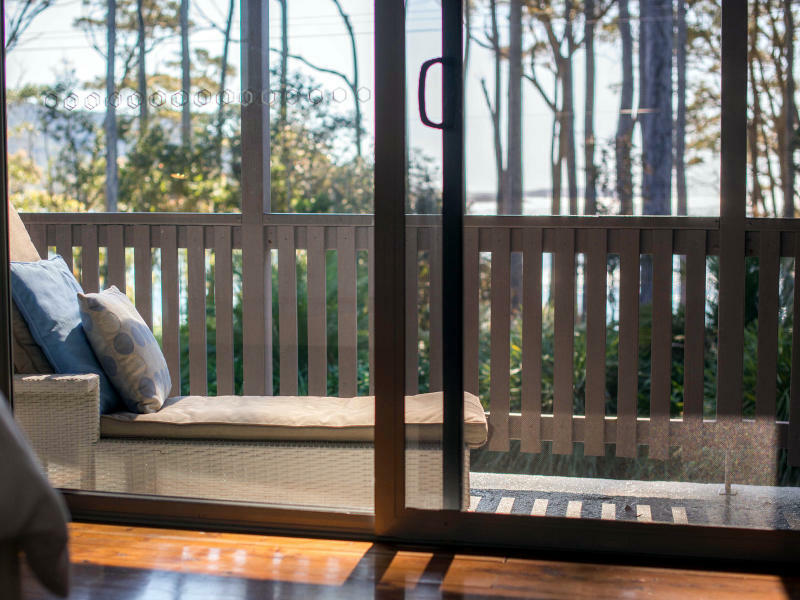 The lower level comprises lounge, dining and main bedroom and looks out over the beach and north to Pebbly and Pretty Beach and Durras Mountain. 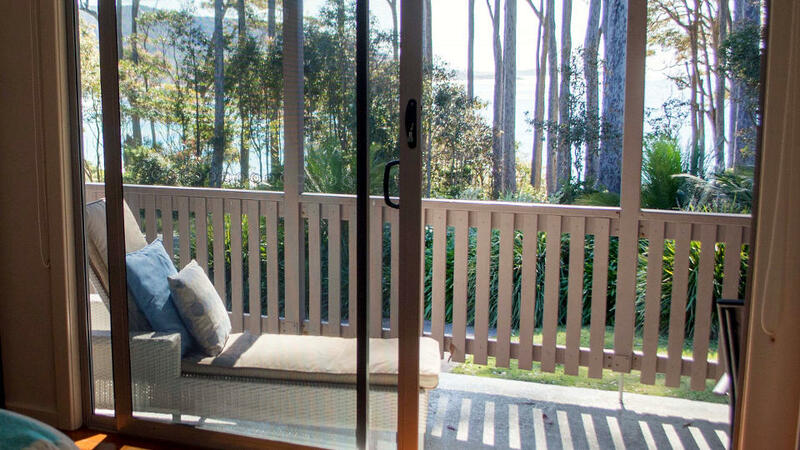 All the rooms are fronted by full length glass sliding doors opening out onto an elevated deck and BBQ area. 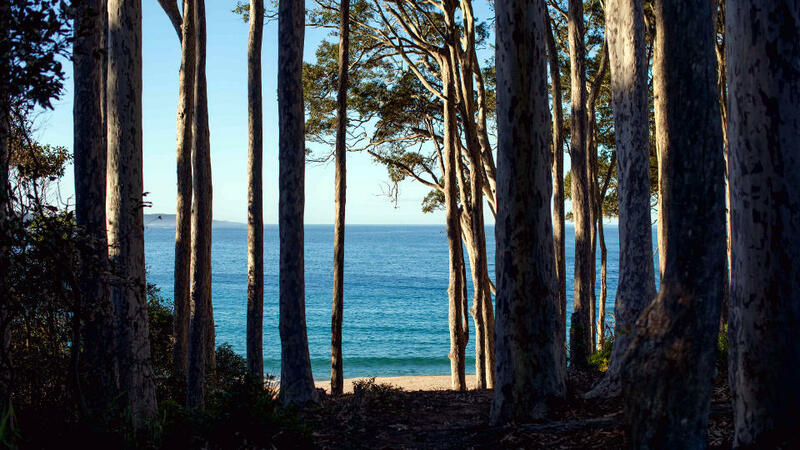 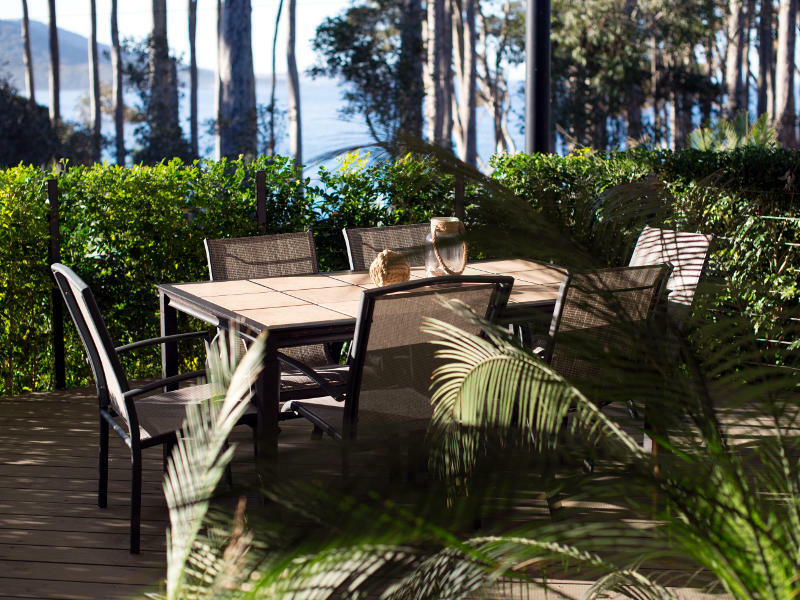 The covered BBQ area has been landscaped to create a secluded oasis and the view of the beach is through towering spotted gums. 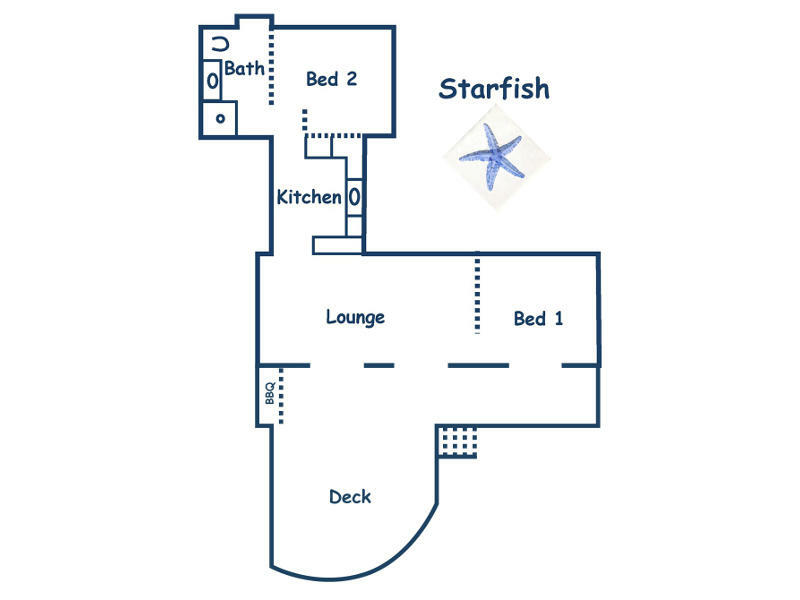 View floor plan. 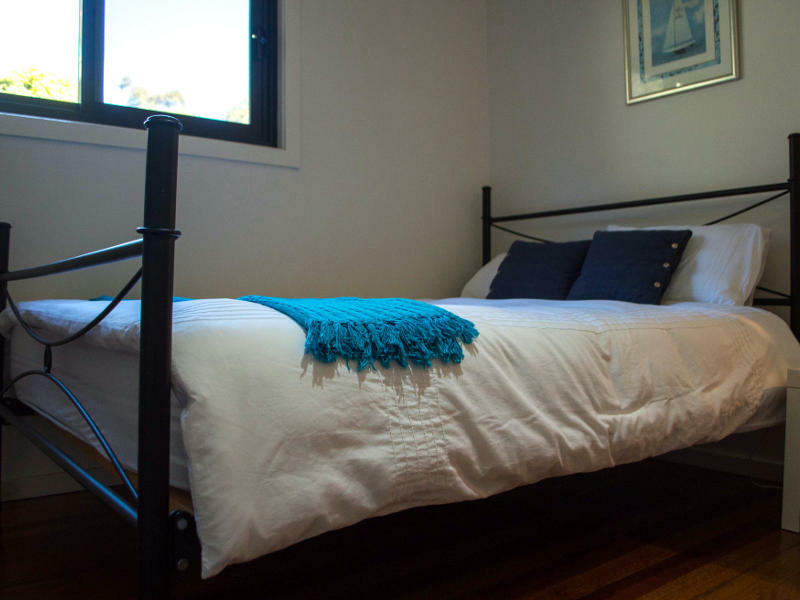 Click on Starfish Cottage Images to view the slideshow.